Trainer Tony McEvoy will give Mintha another try at 1600 metres in the Rivette Final at Flemington. 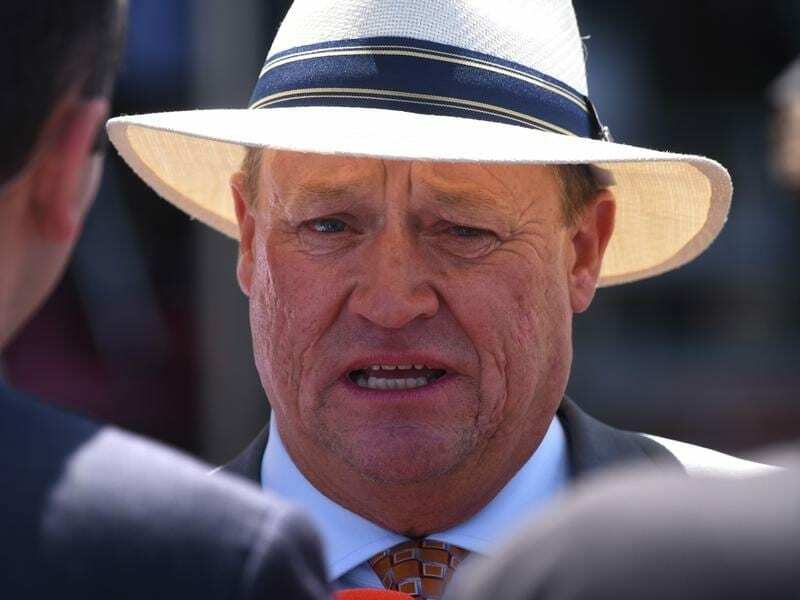 Mintha will be given another chance to convince her trainer Tony McEvoy she can be effective at 1600 metres when she runs as the likely favourite in the Rivette Series Final at Flemington. The three-year-old filly was tried twice in Group One and Group Two races last spring over the distance without winning and again last start at Moonee Valley when she presented to win in the straight only to be overhauled late. A study of the Moonee Valley race, in which Mintha finished three-quarters of a length second to Casa De Lago on a soft track, convinced McEvoy to run her in Saturday’s Rivette Series Final (1600m). “I left the Valley thinking she’s not a miler,” McEvoy said. “And then I watched the race several times. “They went at a solid pace and she rode the pace and appeared to have a beautiful run but she was up on that tempo. “She had them beat and just got tired the last 50 metres. The ground was tough, so I thought she deserved another chance at a mile. McEvoy believes Mintha should get the right run from barrier three in the field of nine and said premiership-leading jockey Craig Williams would position the filly where she was comfortable. “She just doesn’t need a hectic-run mile like it was last time,” the trainer said. McEvoy believes Mintha is good enough to contest spring races but her Flemington performance will provide a better guide to likely targets. Two-year-old Scottish Rogue is set for the seventh start of his preparation in the Taj Rossi Series Final (1600m) and McEvoy praised the gelding’s toughness. McEvoy said Scottish Rogue fought on for third over 1400m to Saturday’s rivals Good ‘n’ Fast and Goldifox last start. “I thought we’d go to the mile and I might try to ride him a little bit more patiently,” McEvoy said. “We’ve been riding the speed with him. He led and was so impressive at Sandown three starts ago so we didn’t want to tamper with that.